Gone are the days of meticulously peeled grapes to scare your Halloween party guests. 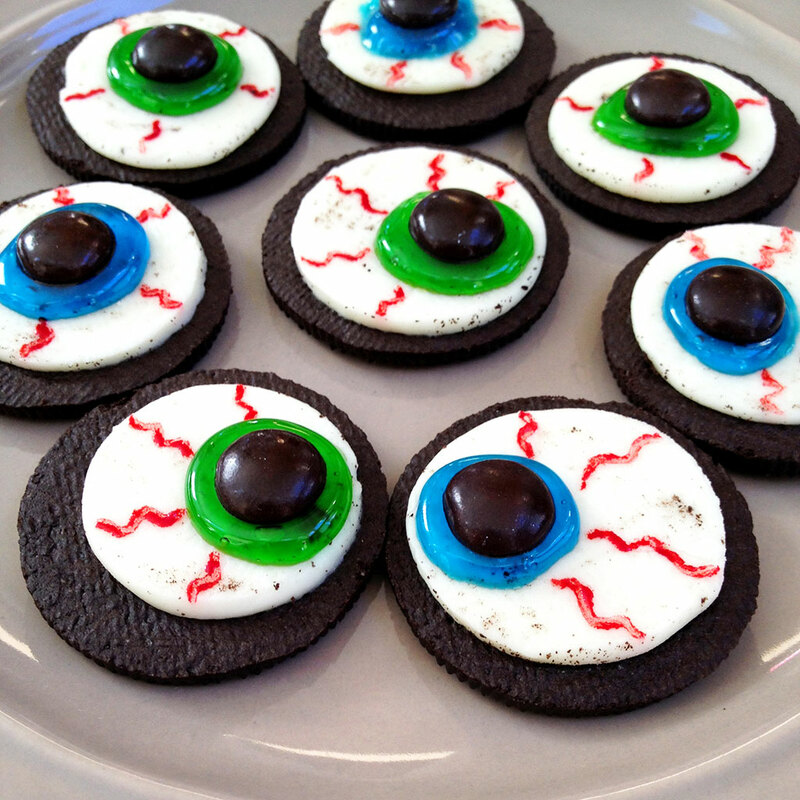 Why have them feel "eyeballs" when they can eat and enjoy them? 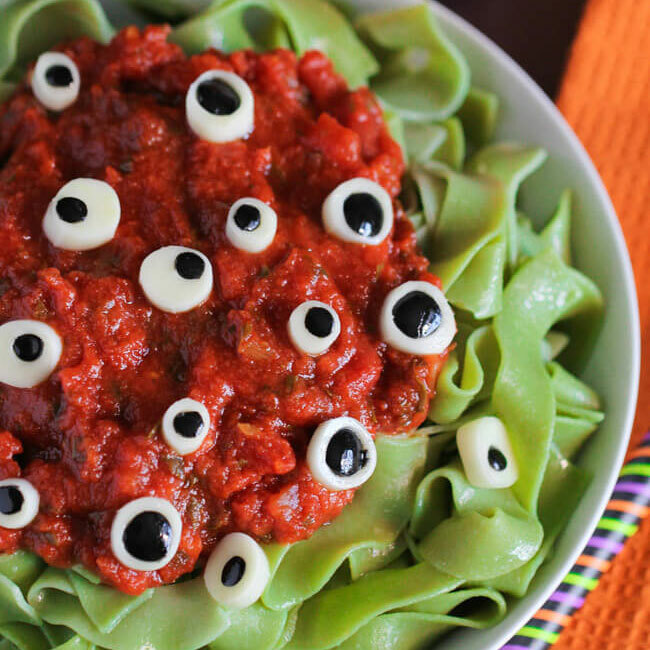 We've scoured the internet for some of the creepiest and delicious recipes we could find. Click through for some ideas that are sure to enhance your perfect party-planning vision. When it comes to your diet, these brownies are far from frightening. In fact, they're paleo, grain-free, gluten-free and dairy-free. Considering the creepiness is is merely in the form of lychee and strawberry jam, we'll take one extra bloody, please. Click here for the recipe. 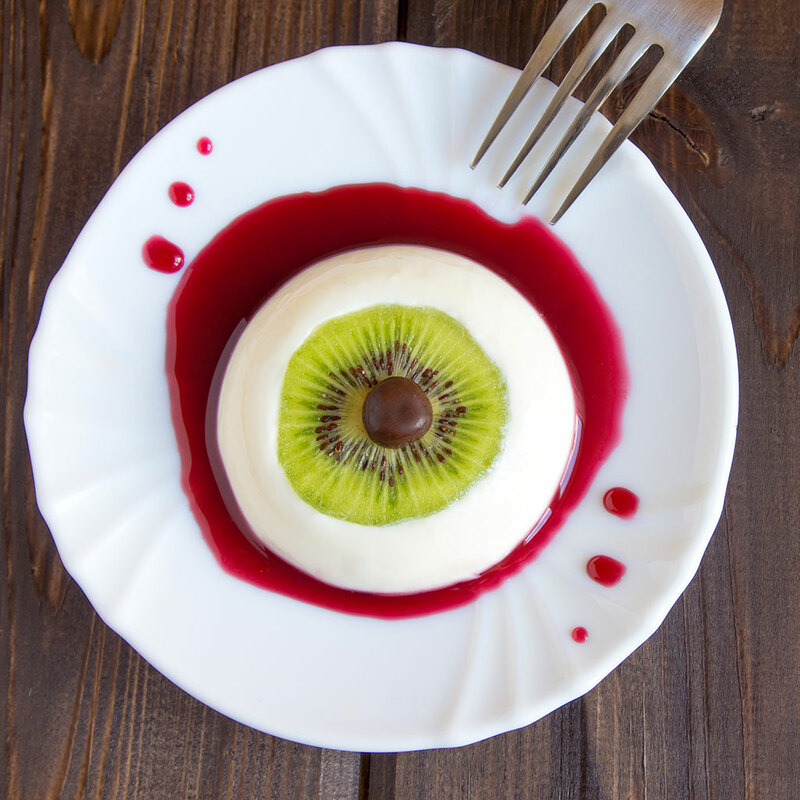 This coconut and kiwi-based vegan panna cotta is more beautiful than ugly. Chef created, optometrist approved. Click here for the recipe. Once you cake pop, the fun don't stop. 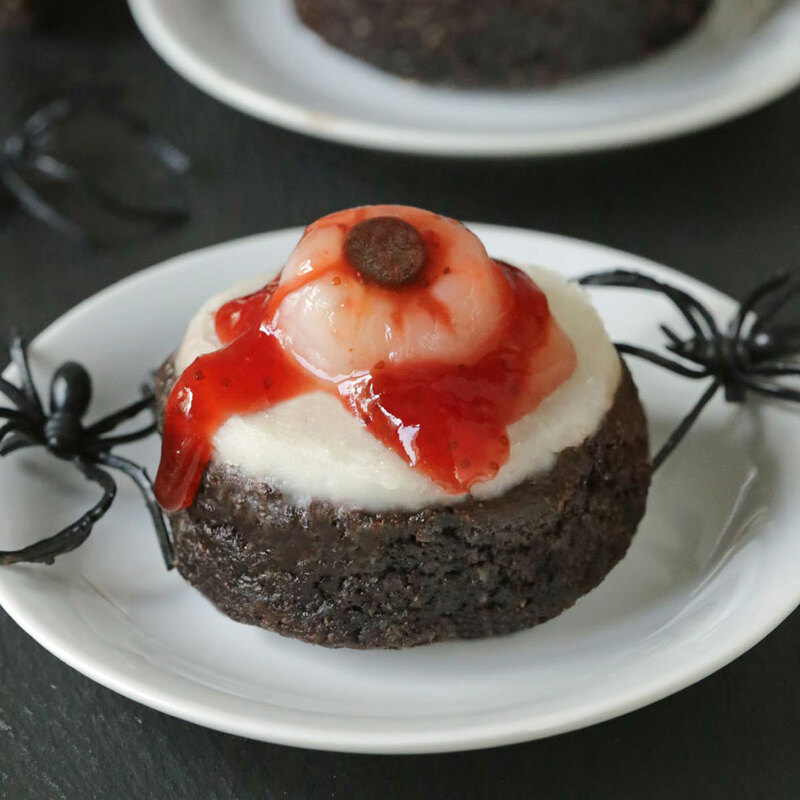 This obviously applies to this clever Halloween dessert with a kid-friendly recipe. Click here for the recipe. 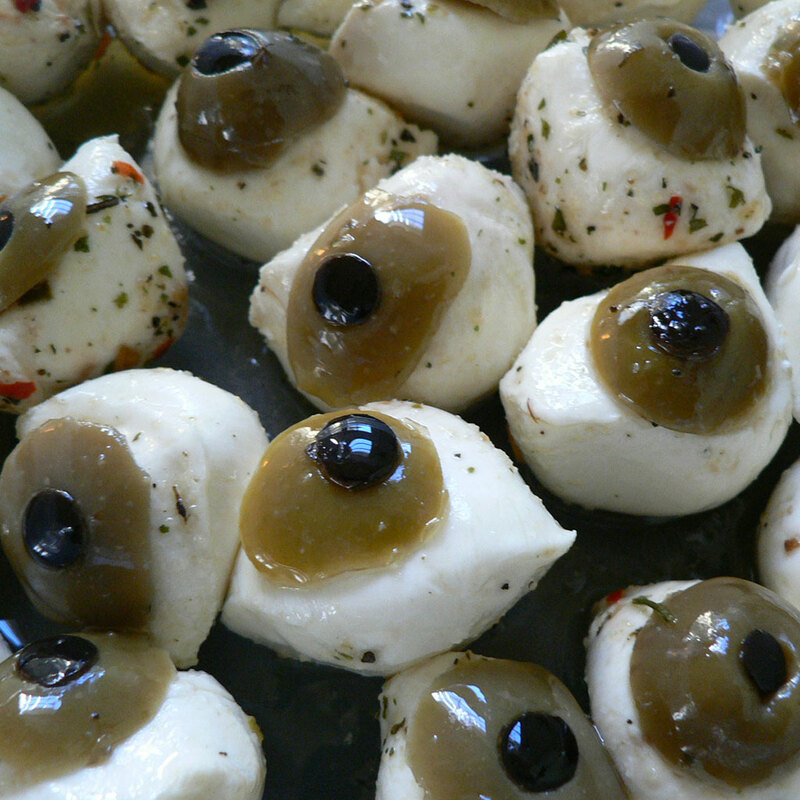 You're going to be throwing in cheese and olives anyway, so why not construct them into adorable eyeballs? This dish puts the eye in Italian. Click here for the recipe. 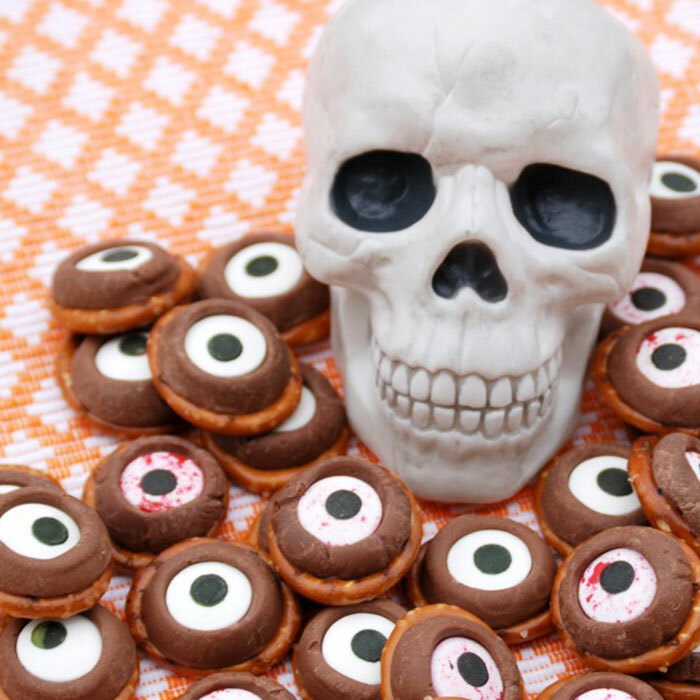 There's nothing scary about America's favorite sandwich cookie, but a little gel frosting and M&Ms can make them a bit more festive and fun. Click here for the recipe. If we're blindfolded and forced to dip our hand into a mysterious jar, we can only hope that these "terrifying treats" will greet us. Click here for the recipe. So easy, so delicious. 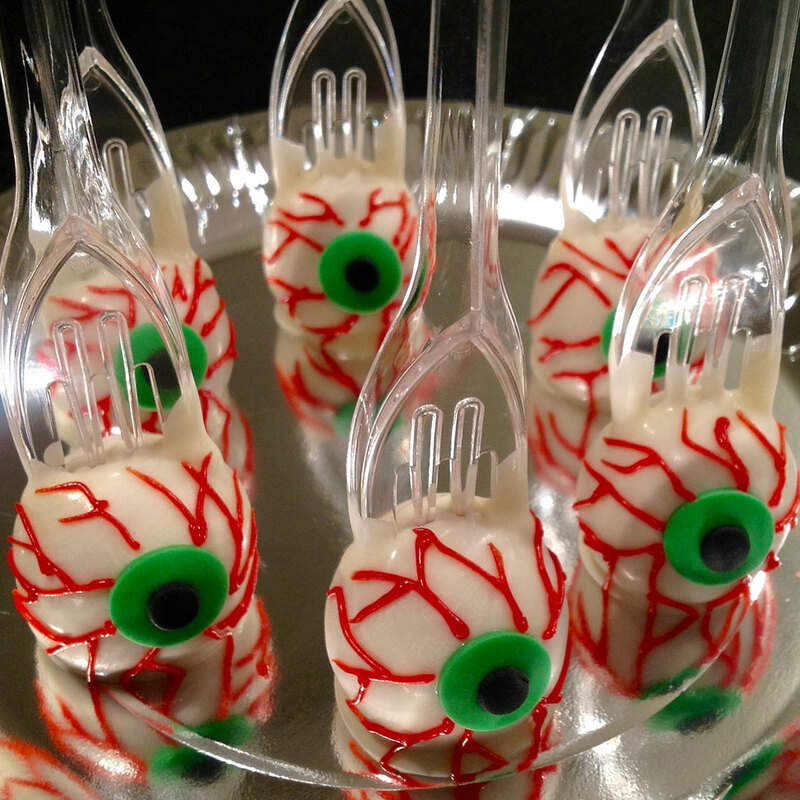 Serving these at your next Halloween party will have your guests seeing 20/20. Click here for the recipe.